After using MyMathLab for 7+ years, I felt it was time to see what else was out there. The main problem I’ve had with traditional homework systems is that everyone’s homework assignment is the same regardless of mastery level. For some students, the homework was tedious and time-consuming. For others, it wasn’t enough. I feel alta is better suited for students because it meets them where they are. 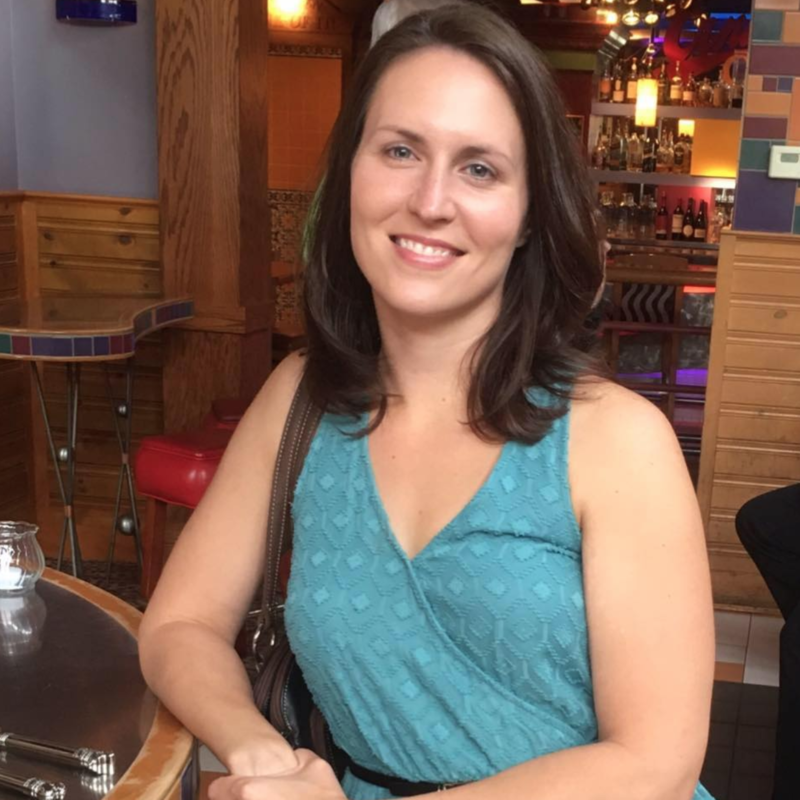 Alta gave me the flexibility to teach any way I wanted because I wasn’t tied down to a book. Alta homework represents 10% of the total grade. Group work in class is another 10%, and the remainder of the grade is summative assessments. I think the impact of alta is quite significant. The results for Exam #1 and #2 start out strong for each class. Those exams contain a lot of review material from previous courses. Once new topics are introduced, exam scores drop. But this is not the case with alta students! The surprising result is that those scores improve with every exam. It appears that these students are able to retain their knowledge and apply it at a more advanced rate than previous semesters. All students must take the departmental final exam. The most telling statistic for alta students is that the mean and the median were the same. To me, this is the most compelling reason to believe that alta helps students to gain and maintain their mathematical abilities. 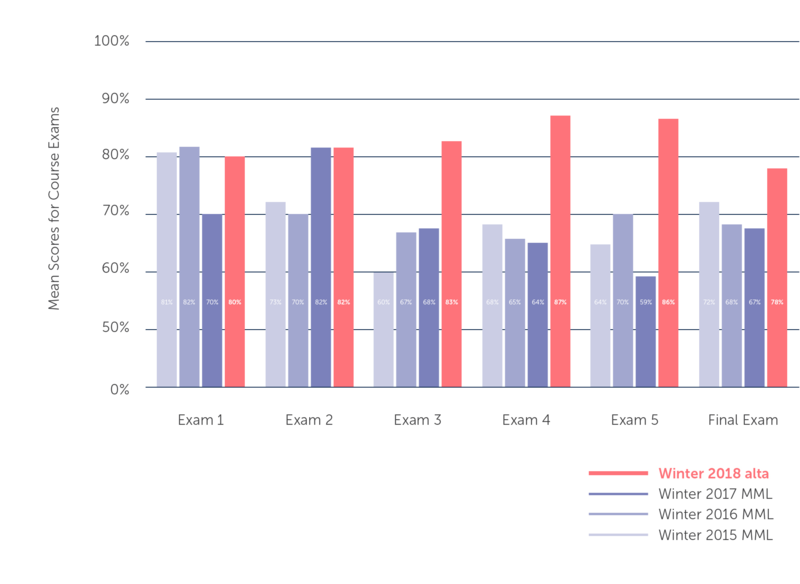 In the past, there was a 5-10% gap in the mean and median which indicates that several students outperformed and several underperformed on the final exam. Alta appears to level the playing field. To measure alta’s impact on student proficiency, we analyzed the results that Faith's students achieved with alta. Alta allowed me and my students to enjoy our time together. Class time was very productive because the playing field had been leveled. Struggling students were able to achieve mastery and build their confidence. Advanced students retained and gained knowledge at a rapid rate. I couldn’t be more pleased with alta. It’s truly changed the way I view homework and learning. Just try it. What do you have to lose? Students may feel a little uncomfortable at first, but they get the hang of it pretty quickly. They will soon realize the homework is there to help them and not hurt them.